Cheap mobile phones, phone reviews, Windows phone specs and price, Flash phones, Root Nokia, Top Lumia smartphones, Find lost phones, Trace owner name and block viber contacts, Download apps for pc. Revenue from mobile applications grow more than twice every year and apart from the paid apps there’s a strong evidence that shows that free Android app owners are also making money out of their app. 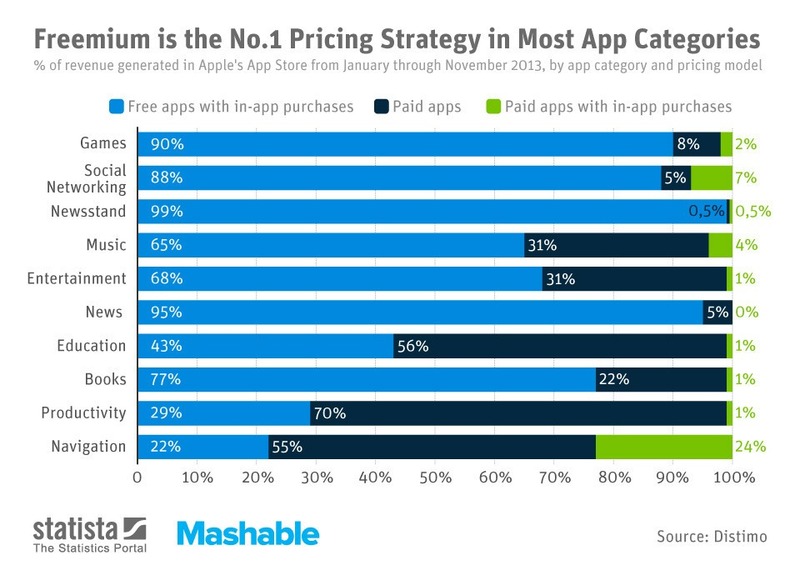 On a overall basis 89% of the income generated from an Android app comes only from free applications. If you have already had the thoughtful idea for your application then it’s time to see how you will monetize your product. 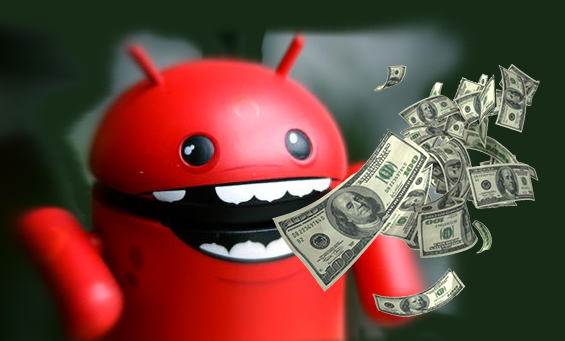 If you want to make money with your Android apps then you must have a creative idea. It’s fine if you aren’t a coder because you can get the app done from a good reputed Android company. There are few thing which you must consider before releasing your Application to the play store. Also read : How to start a successful blog that cane earn you for lifetime. Does your app already exists in the market? If so, how it differs from them? Does your app has potential to be used with wider audience ? Will the app be fun or something useful to the smartphone users? If your answers are “Yes” to the above three questions then proceed further to know how can we monetize the Android apps so that it could generate thousand of dollars per day. I’m going to list out the major resources for monetizing your Android application but, Do not use all the methods below because it doesn’t provide a good user experience. Remember, If you’re an Android user would you be liked to get dumped with a bunch on Ads? The success of this model is that users are more likely to spend money on the application once the user likes the app after using it for free. But the risk of this model is especially in gaming. If we make a free application to play but impossible to finish without paying then it may cause frustration for the users. So the key to this model lies in generating attractive purchases . The Freemium model is recommended for high volume apps downloads such as the case of Dropbox, Spotify and Farmville etc. The Ad which will cover the entire screen while using the application and this could be shown at any point of time while the user is accessing the app, This one is so annoying to the user but still it could generate good income to the developer. Tapgage.com is one such site where you can sign-up to request a full size ads. Banner ads are served on a mobile app which is connected online and basically this Ad can be displayed above or below the display of the screen. Banner ads are far better to the Interstitial ads based on the user experiences. More than 70% of the smartphone users feels in-app Ads are disruptive. Inmobi.com and Admob.com are the best Ad networking sites. When the user is not using the application the ad will be sent to the notification tray of the user. this is more common with games in Android. This is one good way to monetize your app and Airpush.com is a good Push notification Ad network. Developing a viral Ad will lead to a sponsored Ad where one of the advertising sitting in front oh his desk would approach you after seeing your app getting viral on the play store. If you are getting millions of download then the number of sponsors would increase for approaching you to make a Ad deal with them. Other than that if you’re making an App which will be relevant to some product then you can directly approach them for providing sponsors. The next option to consider is to charge a monthly or annual subscription for the services offered by our app. Yet this is too green. We don’t know any of the applications that uses this system, so today it would better manage subscriptions externally through the Web and offer Android App for free. These are the most obvious choices, but surely others will be at least those who can make a difference and make you really make a living from this. If you’re going to have a newspaper or magazine portal kind of Android apps then you can make use of this subscriptions system to monetize the app. Bonus Websites to Monetize your App. 1.AdMob – Owned by Google. 2.Adfonic – You can control the Ad displayed. 3.AppFlood – 0% commission for the Ad network. 4.AppSpot – Make money within 10 minutes. 5.ChartBoost – Best for games. Everyone who wants to live life with application development should optimize the Ads well and for this we must engage with the users who are using your application and ask them for suggestions and points to improve your app performance. To do this, the key is that our application must be attractive and original. Without that we have nothing, but despite that we might fail if the system is chosen wrongly for monetizing. This entry was posted in Android on Aug 27, 2014 by Rajesh. One of the major drawbacks in using an android mobile phone is the poor battery lifetime that leaves the users with a great disappointment.Most of the batteries today will no longer last for more than a day if it is being used heavily.Eventhough most of the high reputed manufacturers like sony,samsung and htc tends to provide a better battery backup it still remains as an unimplemented task.This post will reveal some minor tweaks and changes that will help to extend and maintain the battery lifetime for any android mobile. Display Brightness : Brightness is the first major issue that eats up the battery on an android device.While watching a video,dialing a number,typing a message,playing a game,each and everytime the display is being used the battery gets discharged quickly as the amount of brightness is huge.By Decreasing the brightness level on the screen will save more than 30% of the battery usage.To decrease the brightness level follow the below steps. 1.Open the application drawer from the home screen. 2.Select the settings menu and move to the “display” submenu. 3.Click on the brightness and decrease it to the lowest possible value. Background Process : Eventhough an application is closed after being using,they are not ended completely instead a small background process will begin to run inorder to make the application to be accessed quickly for the next launch.Many number of background process running on the device will consume more amount of battery and the battery gets drained quickly. Restricting the applications from running behind the scene can help the battery to stay longer.The background process in an android device can be completely stopped by the below method. 1.Open the app drawer from the homescreen and click on settings. 2.Select the Apps menu and navigate to the “running” tab. 3.Click on a service and press the stop button to end it. Live Wallpapers : Having a fancy and attractive live wallpaper on the android screen can make the mobile to look stylish but at the same time will take the battery’s lifetime.Any kind of animation and moving images on the wallpaper can affect the performance of the device along with the battery. 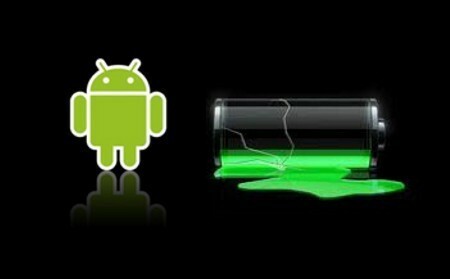 Disable Services : There are many services in the android mobile which will take up the battery’s life even when it is not active.Such kind of services can be disabled manually bu the user to prevent them from sharing the battery. Connectivity Services such as GPS,Data Traffic,Wi-fi and Bluetooth can be disabled when they are not used.To do so launch the settings menu and turn off the unwanted services manually. Homescreen Widgets : Filling the entire home screen with widgets and application shortcuts will use huge amount of the processor and degrades the performance and simultaneously reduces the speed of the android device.If a processor is very busy in scheduling the entire time for the widgets on the home screen then when a new process is started,naturally it will consume a lot battery as the load for the processor has started to increase and so avoid keeping all the widgets on the homescreen. Must Read : 10 Must Needed Android Applications. Task killer is a powerful tools that allows the users to kill all the unwanted services and helps in preventing the android device from consuming a lot of battery.The task killer that i use on my android device is “MT Task Killer” which helps me to kill all the unused application that are running in the background.Though it might not be a best task killer i consider it to be the one on my device. Also read : 3 Beautiful Android launchers. Open the internet application from the application drawer. Start the menu and click on settings. Select the accessibility option and scroll down to click on the “invert rendering”. Do not over heat the battery by running many applications at a time. Do not charge the mobile after it reaches the full capacity. Allow the battery to get discharged completely atleast once in a week. Do not wash the battery with water or soap. If your mobile is a rooted one then do not overclock the processor to the maximum extent as it will damage the battery permanently. This entry was posted in Android on Jul 7, 2014 by Rajesh.